250 non-musicians perform in the battle of the bands competition using mobile learning technology, thanks to Elsium’s Strike A Chord programme. Pupils from 16 schools across North Tyneside are participating in Elsium’s Strike A Chord iPad band programme. The programme has been delivered in collaboration with the North Tyneside Music Education Hub, and the North Tyneside Learning Trust. Using the iPads and the app Garageband, the children are able to perform as a band performing all instrumental parts; with each school creating its own band. 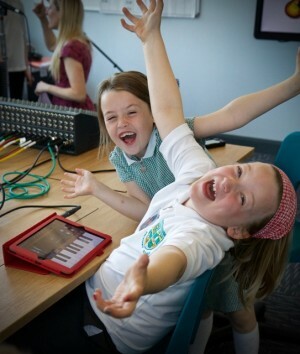 The programme has enabled children from all backgrounds and abilities to engage with music, and they will perform in front of a large live audience at the battle of the iPad bands in July. Pupils from the schools include mainstream non-musician pupils; gifted and talented pupils; and pupils with social, economic or mental health issues, and physical disabilities. Elsium’s Managing Director, and concept creator of iPad bands for education, David Kirtlan said: “As well as mainstream non-musicians, pupils that would be traditionally excluded from music education due to a learning difficulty or physical disability have also participated and thrived as key members of the bands. One pupil taking part is profoundly deaf, and so for her to be able to play a traditional instrument would have been considered to be very unlikely, however, using the technology, she was able to “feel” the music with one hand placed on the speaker and her other hand playing the part on the iPad; and once confident in playing, she no longer needed to keep her hand on the speaker, using it only check the beat every now and then. 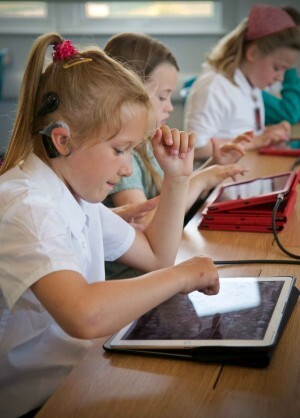 Another pupil has selective mutism, and despite this, he performs successfully as a singer in his school iPad band. David Kirtlan, is one of the UK’s most popular music education consultants, and was one of the UK’s first Apple Distinguished Educators. His previous large scale iPad bands include creating and performing the iPad band at the BETT Show in 2015 and 2016. He has been creating iPad bands, and bringing them to the consciousness of music teachers, since the iPad was first introduced to the world in 2010.